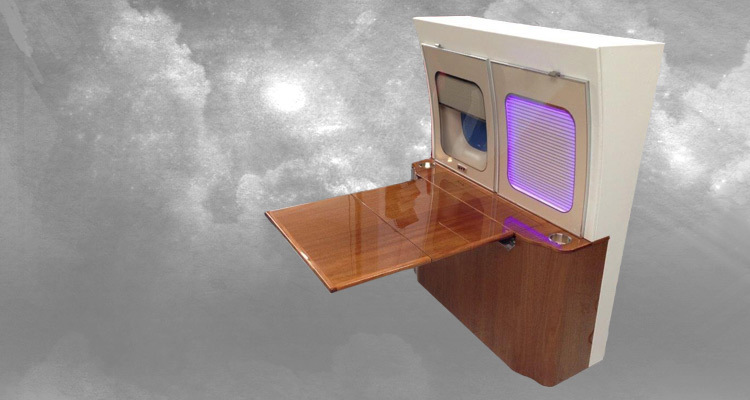 JBRND constructs quality aircraft foldout tables. 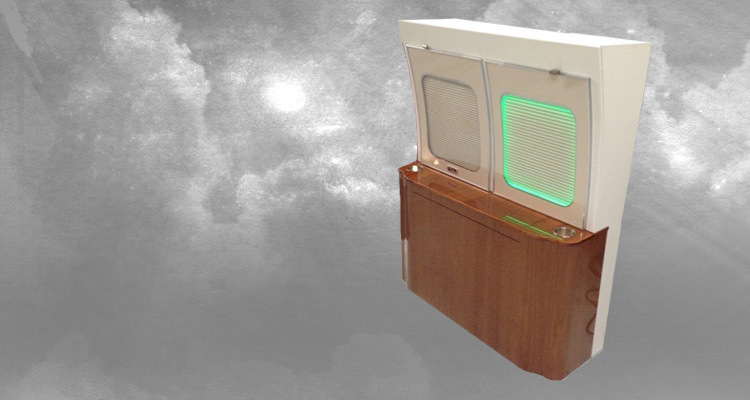 Built to your specifications, these lightweight foldout tables can be custom made for any type of aircraft. JBRND also builds custom fixed tables. 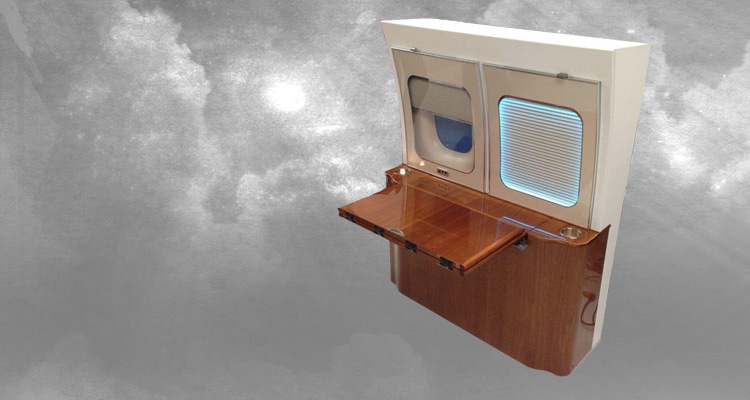 Our aircraft foldout tables are built to exact size specifications with specifically designed structures to allow for a lightweight station. With a load capacity of 200 lbs, these foldout tables have a flush lid when deployed. This blocks visibility of the table mechanism. They feature close tight gap hinges for ultra-thin seams between each table leaf. Foldout tables are built and gapped ready for final finish with optional cup holder and storage cutouts under the table leaf. They also come with a push down to unlock and spring up lift. 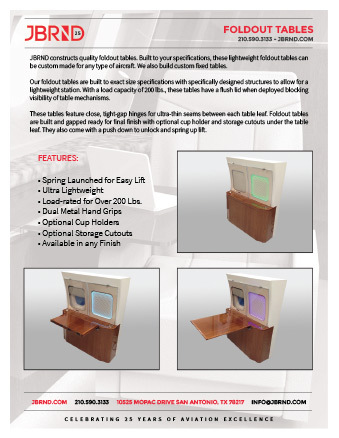 Get the JBRND brochure for our foldout tables. The brochure is one page, in PDF format, ready for printing. For more brochures, take a look at our Downloads Section, where there are many others available. As always, just get in touch if you have questions. We look forward to discussing your project. Get in touch with us today to get more information by clicking the button below.